We joined up with a few Sunbeam folks for the 7th "North East Regional" event put on the Lehigh Valley Region of SAAC over the weekend of 9/24/16. Two Tigers (Petri and Keller) ran the Tour route on Saturday and graced the show field at Macungie Memorial Park on Sunday. 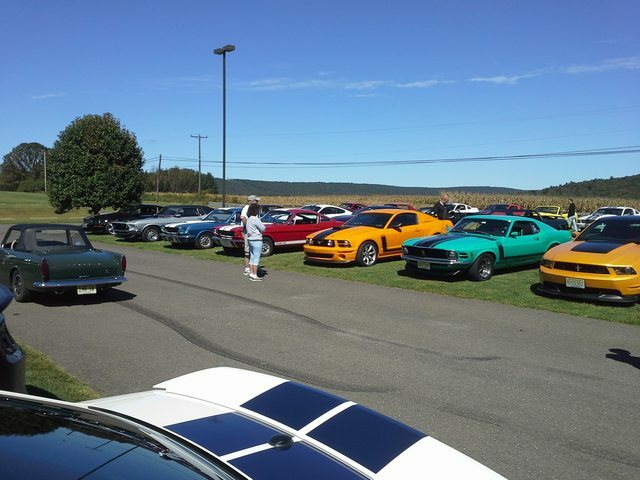 Fellow TE/AE members Mentz (apparently now Tiger-less) toured and showed in their beautiful Superformance Cobra. We also met long-time TE/AE guy David Lavertue on Sunday at the show. This is a fun event with good driving on scenic back roads for the tour, a nice visit to the nearby "America on Wheels" Museum (highly recommended), and the "all Ford" show in that famous Park setting. The event was moved to September this year after a very chilly time last year in October. Is that your tire signature on the pavement in the first picture? I think he was just "breaking-in" those new tires he put on recently! ^^^ I always figured that we were VERY cool when we had the only Tiger at that event for the first few years... but the Kellers have diluted that some by bringing theirs. We actually took our 65 T-bird one year and were still welcome. what park were you in and where did you go for lunch? I live in the Lehigh Valley and did not know anything about this. I would have attended had I known. Mark, please keep me informed of this event for next year. The Saturday Tour went to Heisler's Cloverleaf Dairy as our lunch stop. 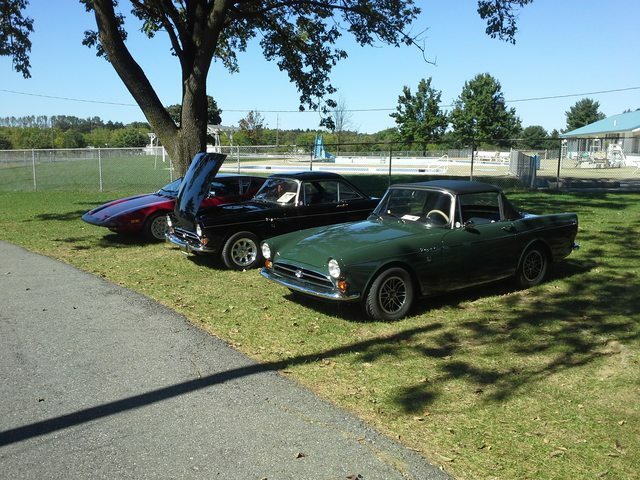 Sunday Show was at the Macungie Memorial Park, same as last year. It sounds like the itinerary for next year will be very similar, details don't usually show up until a bit later. "2017 North East Regional meet - Sept 15-17 2017"
Yes, Lucky it's not the weekend of the United, but it's the same weekend as "Brits at the Beach", Ocean Grove NJ, where we usually gather with around 7 Sunbeams. See the PEDC.org website for more information.